The Redmi 6 is part of Xiaomi's very affordable smartphone series, aiming again to offer a lot of smartphone for little money. However, in the meantime, other manufacturers also offer good affordable smartphones. Our test clarifies whether the Redmi 6 is still a very good deal. Redmi 6 is a decent option in the budget segment with Realme 2 and Asus Zenfone Max Pro M1 as its closest competitors. Realme 2 comes with a bigger display, battery and camera specifications, but you will also have to spend almost Rs 1,000 extra to get the same storage and RAM model. For those interested in big battery, they can go for the Asus phone that packs a 5,000 battery or Motorola One Power or the Redmi 6 Pro, which has a 4000 mAh one on board. Yes. The Redmi 6 is a worthy successor to the Redmi 5. It offers better performance and design than the Redmi 5 but costs the same. In India, the 3GB RAM with 32GB of internal storage variant of the Redmi 6 costs Rs 7,999, while the price of the 3GB RAM and 64GB storage model goes up to Rs 9,499. If you already own the Redmi 5, I would say stick to it, because it isn't a bad phone either. But in case you're looking to buy a phone that costs under Rs 8,000, go for the Redmi 6. While it's not going to challenge the big boys, this budget handset is perfect for newcomers or casual smartphone users. The Redmi 6 is priced starting at Rs. 7,999. It has decent hardware for the price and it offers better performance than the smartphone it replaces. The base variant with 3GB of RAM and 32GB of storage offers better value and does not have a lot of competition to deal with. However, if you are eyeing the higher variant that is priced at Rs. 9,499, you might want to take a look at the RealMe 1 (Review) and the Asus ZenFone Max Pro M1 (Review) instead, because both of them offer much better performance for a slightly higher price. The Redmi 6 is an affordable budget friendly smartphone that comes with 18:9 display and houses dual cameras on the rear that are not just for name sake but they are capable of capturing impressive shots. Overall for the price the Redmi 6 looks great, perfect to use as a backup phone or if you have a tight budget this one is a great option. Xiaomi Redmi 6 Review: Is It Your New Budget Phone? If you’re on a tight budget and are looking for a fairly powerful phone? Of course. While the exterior of the phone isn’t anything special, the innards are fairly powerful especially when you consider the phone’s price tag. At just Php 7,490 for the 3GB/32GB version and Php 8,990 for the 4GB/64GB variant, it’s especially affordable for people looking to get the most out of their limited budget. We’ve already given you our take on Xiaomi’s new budget phone, the Redmi 6 in both article and video form. Today we’re going to take a look if the phone’s dual 12-megapixel/5-megapixel cameras deliver the goods. Xiaomi Redmi 6 Unboxing, Quick Review: The Next Budget King? While Xiaomi’s mid-range and flagship phones have always managed to hog the limelight, their budget offerings in their Redmi lineup make up a large majority of the company’s user base. Xiaomi has made life particularly difficult for budget brands in the sub 10K segment thanks to their aggressively priced Redmi 5A. In fact, the Redmi 5A was so popular, it was crowned as the world’s best selling Android phone in the first quarter of 2018. 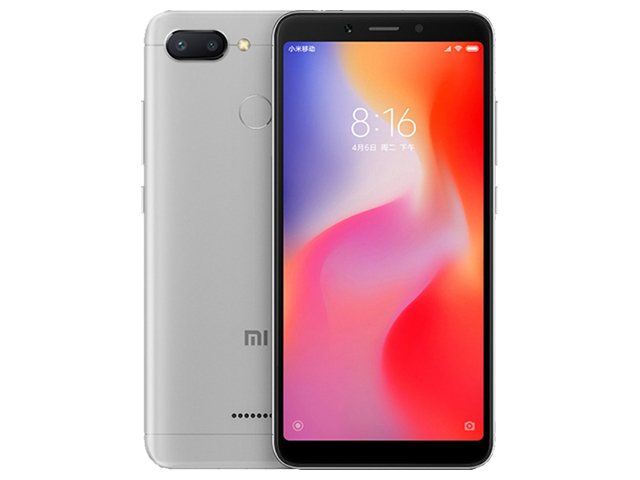 For Xiaomi, the newly listed Redmi 6, together with the Redmi 5/5 Plus and Redmi Note 5, together constitute a new “mid-range Smartphone.” Most users buy and choose the mid-range Smartphone, and may eventually choose to buy one. This is undoubtedly the most hoped to be seen by Xiaomi. Right now you can use coupon code: UBJLHGVB to enjoy it at only $147.99. The Xiaomi Redmi 6 is priced at CNY 799 (approx. 8,400 INR) for the 3GB RAM with 32GB inbuilt memory variant, and CNY 999 (approx. 10,500 INR) for the 4GB RAM with 64GB inbuilt memory variant. It will first go on sale in the home country on 15th June from 10 am CST onwards. Positive: Stylish design; nice performance; high autonomy; good price. Positive: Elegant design; nice display; fast fingerprint sensor; decent hardware. Negative: Plastic case; only microUSB; weak connectivity. Xiaomi Redmi 6: Đột phá trải nghiệm camera trong tầm giá rẻ! Positive: Low price; nice cameras. Positive: Attractive price; nice dual cameras; powerful processor. Model: The Xiaomi Redmi 6 is a bargain for a price dual camera smartphone. It was launched in June 2018. With its beautiful and elegant design, the smartphone is both easy on the eye and also pleasant to hold. The company is also advertising their Xiao AI voice assistant feature, which is integrated directly into the camera to recognize plants, vehicles, living environments, as well as items for price comparison. The Redmi 6 features a 5.45-inch HD+ display in the now standard, 18:9 aspect ratio. It covers 80.5% of the front surface, which is in the current smartphone design theme. The body is gracefully thin and feels right in the hand. The display is bright enough for proper usage under bright sunlight. The screen is paired with fair viewing angles for a good visual experience. A user can also take strikingly clear photos with the 12 MP + 5 MP dual camera. 1.25 μm large pixels on the primary lens capture the beauty of any scene, while the AI-powered portrait mode with Beautify blurs the background to create portraits that stand out. A fingerprint scanner is on the rear. Like most smartphones these days, the AI face unlock feature is supported via the front camera as well. The screen lights up when a user picks up the phone, which apparently helps improve the speed of the unlock process. Interestingly, Xiaomi decided to go with a MediaTek Helio P22 chip, which features an octa-core 2 GHz CPU. Storage options include 3 GB + 32 GB and 4 GB + 64 GB, and user can use a microSD card (up to 256 GB). The octa-core processor takes operational efficiency to the next level. The result is a brilliant performance. Produced with 12 nm process technology, it's less energy intensive. There are five dots on the back of the device, which aren’t for wireless charging. Instead, users will be looking at a humble speaker grill, though it might not be a suitable place for a speaker grill to be positioned there. It is easy to cover up the speaker grill while holding it with hands. The Redmi 6 is powered by a non-removable 3,000 mAh battery. It measures 147.5 x 71.5 x 8.30 mm (height x width x thickness) and weighs 146 grams. The phone is running the older MIUI 9, which is based on Android 8.1 Oreo. For connectivity, users get options like VoLTE, 4G, Wi-Fi 802.11 b/g/n, Bluetooth 4.2, and a micro USB 2.0 port. As a conclusion, the Xiaomi Redmi 6 is a budget dual camera. For its price tag, it definitely has decent hardware specifications able to satisfy most users. It is an ideal device for users on a budget who still want a decent camera. Imagination PowerVR GE8320: Integrated graphics card for mid-range ARM SoCs. Non demanding games should be playable with these graphics cards. » Further information can be found in our Comparison of Mobile Graphics Cards and the corresponding Benchmark List. Helio P22 MT6762: ARM based octa core SoC (8x ARM Cortex-A53) clocked at up to 2 GHz. The chip also includes a Cat.7 LTE modem (300 Mbps download).» Further information can be found in our Comparison of Mobile Processsors.